Version 5.4 will allow to select a custom paper size for a document to be used for PDF and RTF exporters. 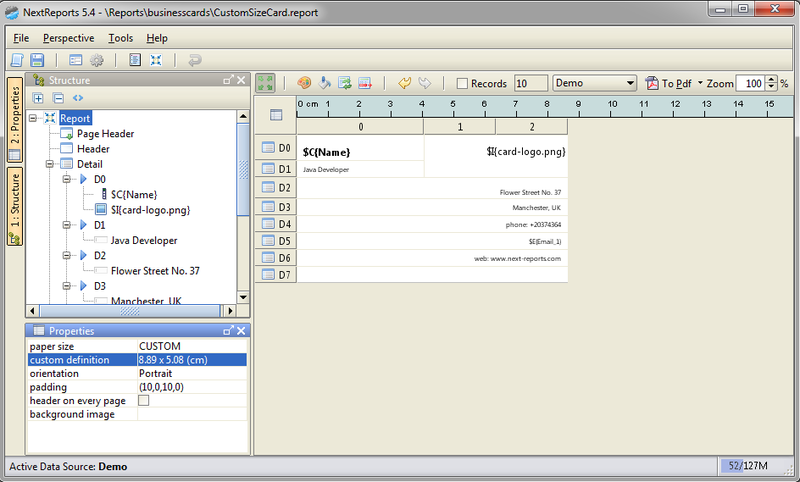 Users have to select CUSTOM to paper size property and then to edit custom definition property to enter width, height and measure unit. 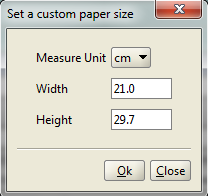 Custom definition property is seen only when paper size is set to CUSTOM. 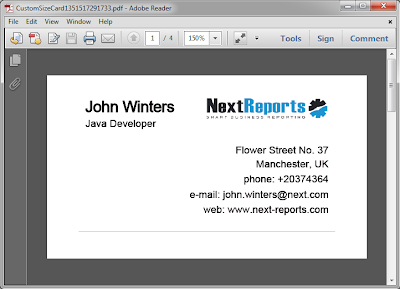 To exemplify this let's consider our business card report.